Brenda Solano lunged and dived for the ball near the end of an ulama game last week. She hit the dirt and shoved her hip forward, the five-kilogram rubber ball catching her at the ribs. She let out an audible oof − but kept the ball out of her end of the court. Her trainer, Arturo Sanchez, gave an encouraging nod. He is always on the lookout for recruits. They were playing this game – on a newly built court for an ancient sport in a town near the Mexican capital – as a demonstration during a community festival, hoping to entice new players. “A lot of people come once and they play and then they say, 'No, thanks,’ ” said Mr. Sanchez, sounding equal parts contemptuous and puzzled. On the grass, his players rubbed their thighs, their arms, their hips, their heads: Even when you play ulama with skill, it means getting whacked with a ball a bit smaller than a volleyball with the weight and feel of a frozen turkey. That may not sound tremendously appealing, but ulama has survived for at least three thousand years. And today it is resurgent in Mexico as part of an interest in all things precolonial – in having, as Ms. Solano put it, a culture that is distinctive from the Spanish, and instead draws on the roots of the dozens of Indigenous cultures that were here before the conquest. 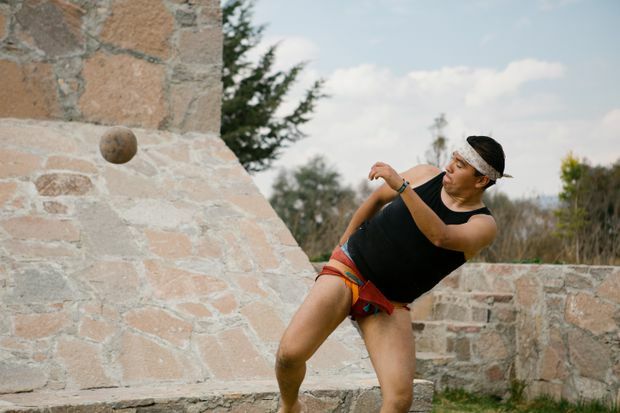 Anthropology student Brenda Solano plays the ancient sport of ulama at a cultural centre in Teotihuacan, Mexico. The game, at least 3,000 years old, has seen a resurgence among Mexicans interested in their pre-Hispanic history. Arturo Sanchez, who is finishing studies in archeology, trains others on how to play ulama and studies Montezuma-era texts to try to make their games as close to the original as possible. The game is played with a 5 kg rubber ball on courts with two stone hoops up high on the sides. Scoring is complex and games can last for days. Ulama is also physically demanding, and injuries to the elbows, kneecaps and skull are among the risks that players take. 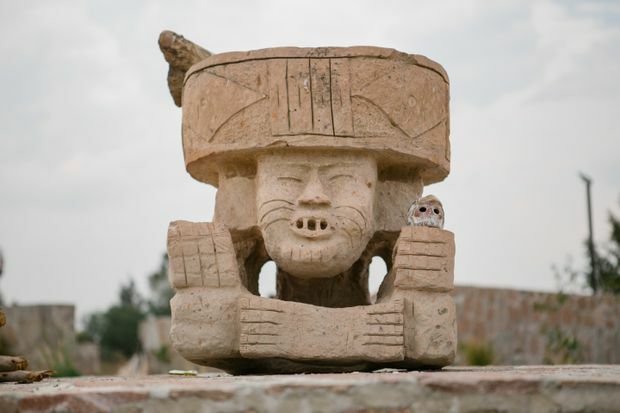 Archeologists have found courts for variations on ulama on sites ranging from Arizona down to Guatemala, and images that show the game being played 1,500 years BC. The Toltecs played it, and so did the Aztecs, the Olmecs and the Mayans. There were different variations, in which the ball – made with natural latex tapped out of trees – is struck with the forearm, the hip or clubs. It is either knocked through rings on the side of a narrow stone court, or driven from one end of a field to the other, over a goal line. The point-scoring is wildly complex – in some versions, one side loses a point when the other gains, making it arduous for either one to get to a winning seven. In Teotihuacan, Ms. Solano and her compatriots played for three hours without anyone managing to score a point; games can last for days. Ulama (this version of the name comes from Nahuatl, today the most widely spoken of Mexico’s 70 Indigenous languages) was not, in its original conception, a game, but rather a religious ritual. There were typically between three and five players on a side – and in the great court at the pyramid at Chichen Itza, as many as 52 players may have occupied each side, said Mr. Sanchez, who is finishing his studies in archeology, specializing in the pre-Hispanic ball sports. The two sides represented spring and fall, day and night, life and death. Teams played to settle disputes and decide shifts in power. A figure of Huehueteotl, an Aztec diety, sits at the Indigenous cultural centre in Teotihuacan. Ulama was a highly symbolic religious ritual in Aztec times. Recognizing its power, the Spanish colonizers immediately banned ulama, and made playing punishable by death. “So the game moved to the far south and the far north of the country, where the Spanish didn’t see it,” Mr. Sanchez said. 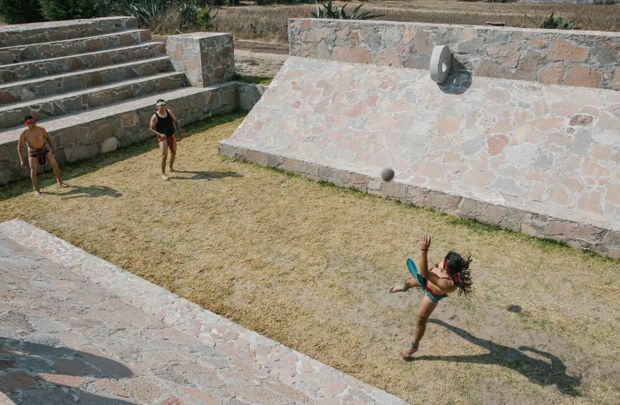 Unable to build permanent courts with rings to shoot through (this Aztec style of the game that had spread with trade), players adopted a version played with a temporary court drawn in grass. In the end, he said, just two families kept the game alive, in Sinaloa in the northwest, an area of little interest to the Spanish because of its relative lack of resources. The opening ceremony of the 1968 Olympics in Mexico City included a brief demonstration of ulama, and so did that of the 1986 World Cup. But in Sinaloa, the players were giving up: “The old guys don’t want to play any more, and young guys didn’t want to learn,” Mr. Sanchez said. Rules and styles of the game were lost and just a handful of people were committed to preserving the heritage, he said. Then in the late 1990s, a tourist empresario from the Yucatan who was building a theme park wanted Mayan sports, and he hired a few of the last players from Sinaloa, bussed them across the country and dressed them in feathers and leather loincloths to appear appropriately "ancient Mayan.” That sparked a small resurgence of interest in the game. Mr. Sanchez and his players staged a recent game during a Catholic religious festival, hoping to entice new players. Icons of saints were processed around the ulama court and the faithful took a break to watch the game. 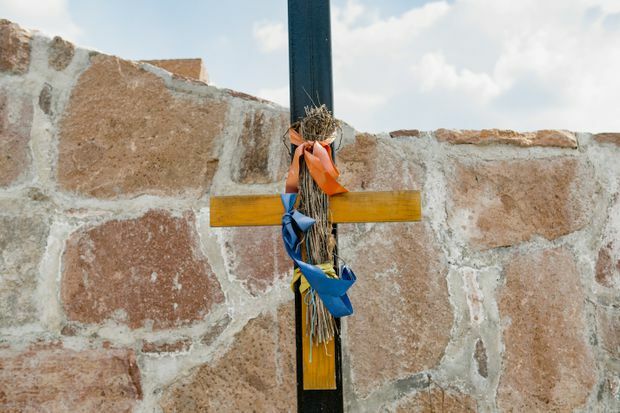 Beside the court, a cross is tied to a pole. 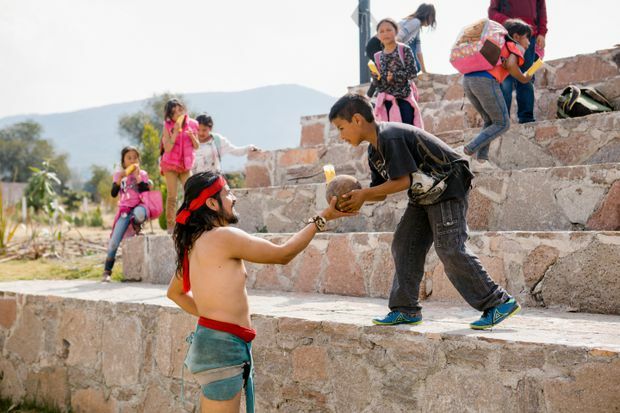 A local boy hands a stray ball to Esteban Campos, a Mexico City dentist who plays ulama a couple of times every week after taking up the sport two years ago. Mr. Sanchez had read about the historical game in his archeology studies, but nearly five years ago he learned that a few people still played. He travelled to the western state of Guerrero to see a game, and jumped at the chance to try. When he got back to the capital, he sought out Ms. Collado and the Indigenous sports federation, to try to learn more. He is committed to trying to revive a version of the game as close to the original as possible, and studies historic texts, such as those in the Vatican library, to analyze court structures and player positions. Mr. Sanchez had a grandfather who was a member of the Mixtec nation, but does not identify as Indigenous. Neither do any of the 25 people he has recruited into a new ulama league in Mexico City. (The sport was traditionally played by men, but he has six women on his teams.) 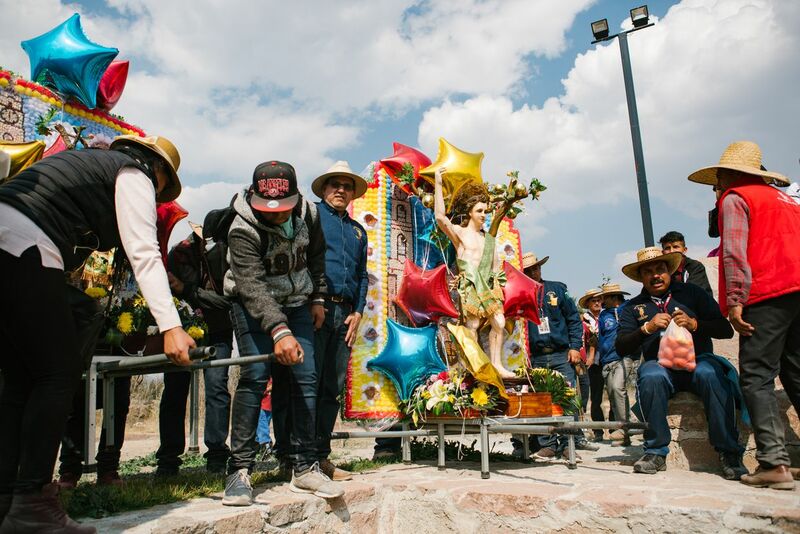 The pull of the game is not about feeling Indigenous, so much, he said, as a curiosity and passion for things that were Mexican before the Spanish conquest. Some 16 million people in Mexico identified as Indigenous in the past census in 2010, 14 per cent of the population; the number of people who describe themselves as Indigenous has risen in recent years (even as the number of those who speak an Indigenous language remains the same), suggesting that the level of stigma associated with “being Indio” may be declining. The new President, Andres Manuel Lopez Obrador, has pledged a changed relationship with Mexico’s first peoples, and in a break with tradition, he included Indigenous rituals from different first nations in his swearing-in in December. Ms. Collado said she was cautiously optimistic about the new administration; she hopes to see Indigenous sports included on school curriculums – “why do we teach football at school and not these?” – and with them a new pride in the identity. As a teenager, Ms. Collado took up the Purepecha version of ulama – it’s played at night, with the ball on fire, passed with racquets a bit like those used in lacrosse. She describes it as “dangerous but super fun.” Today, the game is played by teams at universities in the state of Michoacan and growing in popularity. But the risk, she said, is that the traditional games are “commercialized and deracinated” even as they are revived. 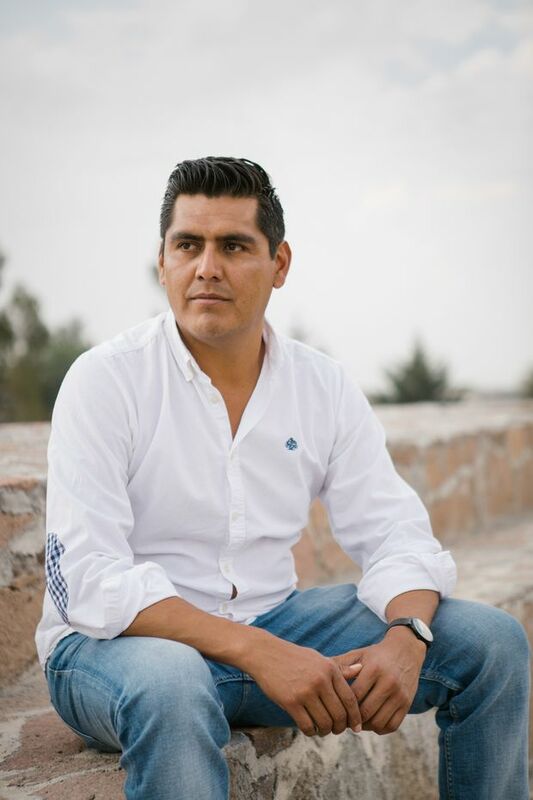 The court in Teotihuacan was built by Ricardo Tonatiuh, 36, who runs a tour company. He has Mixtec grandparents on one side of his family, and Toltec on the other, but grew up without the languages. “I built the court for my children, so that they can do more than just read about their culture in books,” he said. He has Mr. Sanchez and his crew play there regularly, so that young people in his community see the sport.